The Pokoot were once considered part of the Kalenjin people who were highland Nilotic people who originated in southern Ethiopia and migrated southward into Kenya as early as 2,000 years ago. Though the Pokoot consider themselves to be one people, they are basically divided into two sub-groups based on livelihood. 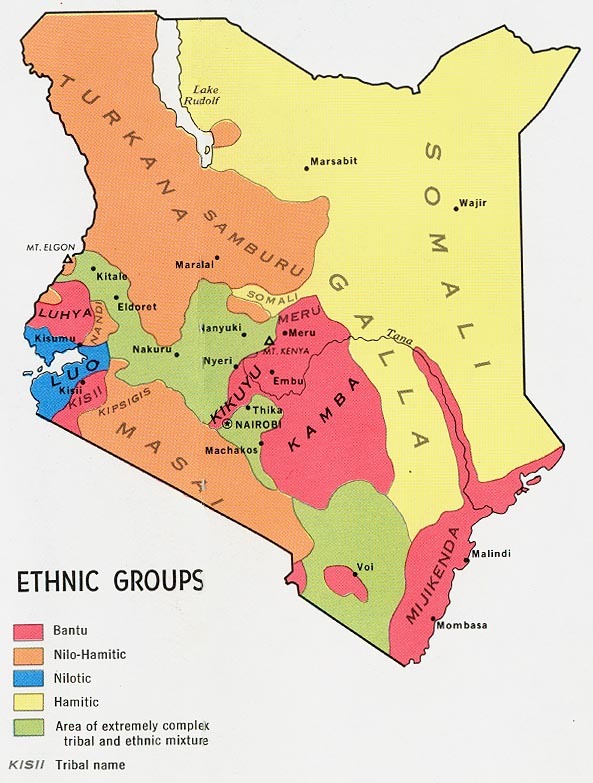 About half of the Pokoot are semi-nomadic, semi-pastoralists who live in the lowlands west and north of Kapenguria and throughout Kacheliba Division and Nginyang Division, Baringo District. These people herd cattle, sheep, and goats and live off the products of their stock. The other half of the Pokoot are agriculturalists who live anywhere conditions allow farming. The homestead is the social center for the Pokoot. Here a man lives with his wives, each having their own hut. All members of the family live here and the stock is corralled here at night. The man of the family rules the homestead, telling the others what duties they are to perform. The position of women in Pokoot society is weak. A woman has no voice in any public forums and no authority within her own homestead. She is considered "foolish", like the cows for which she is traded. Illness and death are greatly feared among the Pokoot. Death is the end of life and there is no after life. Therefore, life is most important and is precious to the Pokoot. Much of their religious ritual is involved in warding off illness or in effecting cures. The majority of the Pokoot still follow their traditional religion. Some of Pokoot are Christians but the majority are traditionalists. Even among the Christians, the traditional religion worldview is still dominant. * Scripture Prayers for the Kalenjin, Pokot in Kenya.